Looking to add a suit jacket or blazer to your uniform?Look no further! 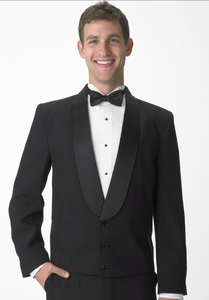 Sharper Uniforms has all styles and fabrics suitable for everything from casual to formal events. We have countless styles available offered in a variety of fabrics such as Poly/Wool, Washable Microfiber, and Polyester. Even if you don't quite know what you're looking for to outfit your restaurant, hotel, or country club staff, you will find many options here at Sharper Uniforms! Once you have made you blazer or suit jacket choice, check out our other pages of shirts, pants and accessories to complete you look all in one stop - SharperUniforms.com!